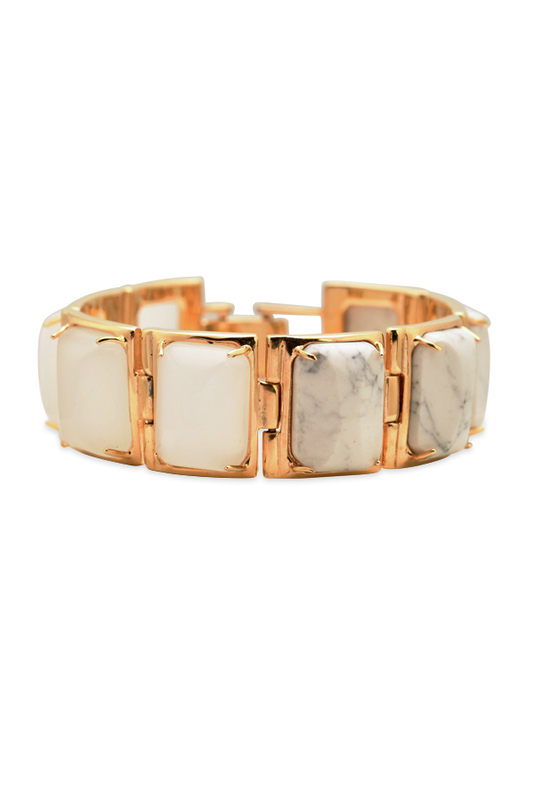 14k gold link bracelet with white and marble agate stones. Every piece has been inspected and deemed authentic by our jewelry specialists. Please note that especially for stamped vintage pieces, hallmarks may vary since many designers employ different stamps each year. Unless otherwise noted, Switch is not affiliated with any brand or designer and the brand listed on this product page is a registered trademark of its owner. Switch directly partners with Lele Sadoughi Design House and guarantees this piece to be authentic.